I spotted this whilst browsing online today. What can I say except I LOVE it? This would looks so cool in my office and it's Cybher pink too! 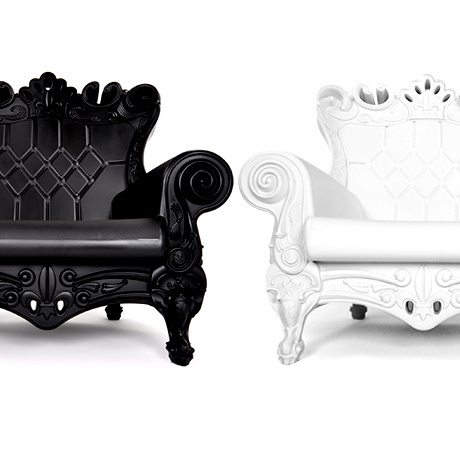 Inspired by the classic Louis XV armchairs that I so love, the Queen of Love Throne from Kingdom of Love has to be the most beautiful chair around. It's seamless, durable and made using recyclable linear polyethylene so it's good inside or out in the garden. Granted, that is a tad pink but it is available in other colours too. Think how amazing your garden would look with a selection of these. Stunning! You can grab one from Fab UK.